Thread: Best knife sharpening system? Sorry this has probably been asked before but what does everyone use to sharpen the good quality steels which are known to be harder to sharpen? I'm thinking of getting a decent set of water stones (600-8000 grit) but I'm open to other quicker/cheaper options if there's something better out there. An old mouse pad and some 1200 grit wet and dry sandpaper. I kid you not- I’ve got all sorts of sharpeners / stones etc, but for modern stainless in particular the “hobo hone” really does the business. Look depends on what you call sharp, if you want a “toothy” edge, good enough to chop hack through stuff then any old stone will do the trick, or a simple diamond embedded rod will also do the trick, light and handy, ut these methods will take a fair bit of metal off the blade and consequently will (eventually) shorten the lifespan of the knife, cheap and cheerful though. Sandpaper and a mouse, or wrapped around a wood dowel will also work. Ceramic rod are good for touch ups, but tend to be brittle, do not drop the buggers. Scary sharp is good, will set your angle and allow for repeatability, use that to get it sharp and then strop to keep it useful until you need to redo the edge when you chop through some bone by mistake. Use a tormek if you have lots of blades to sharpen and both power and money are no barrier. Or if you want a polished edge then the best I have found is the wicked edge, I would go against anyone on an edge test with the wicked edge set up I have, will set you back a pretty penny, but will get you a better edge than anything else out there though. Or you could pay someone if you can’t the bothered yourself. +1 on the wicked edge. Wasn't any good at sharpening a knife anyway. Have tried a few sharpeners. I wasnt consistent with any of them. Wicked edge never fails. Perfect every time. With the strops and paste you get a mirror finish. Pricey but worth it. Especially if you're no good with traditional sharpening methods like me. Does the wicked edge come with strops and paste or does everyone use their own? If you use your own what do you use? I prefer to sharpen my knifes by hand, it’s a good thing to learn. Buy some cheap knifes from a charity shop and practice on them. Or try making one of the holder types in the link above, the bigger the stone the less likely you will gouge the blade. I had to buy my strops and paste separately as the system I bought only come with the diamond attachments. Not sure if any of the many packages they sell come with strops. 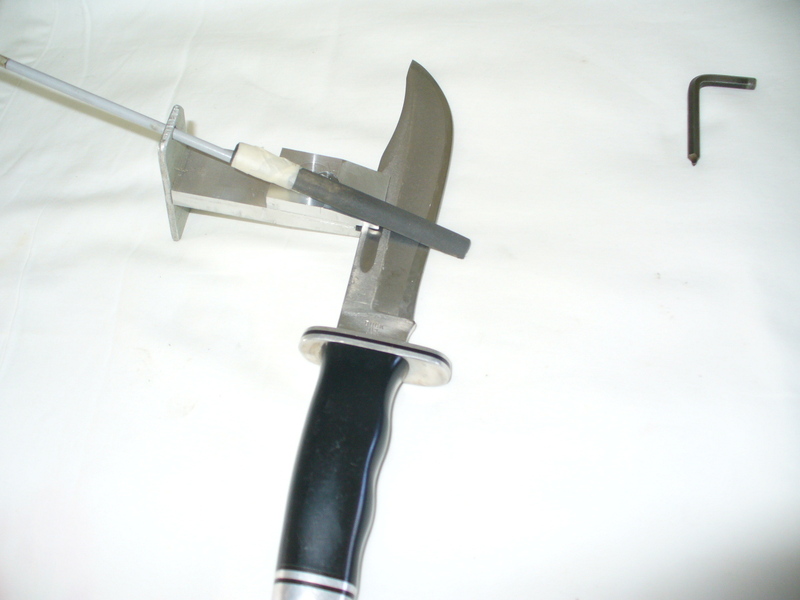 Best knife sharpening system: as rarely as possible. Achieve by using a steel which straightens + work hardens the edge. Once you use a stone etc. you sacrifice steel. Use such only if/when your steel does not do the trick. (The 1200 grit wet and dry is by the way great to get your carbon blade to a mirror shine, not just for the edge - something to do at the camp fire). Wicked Edge and Scary Sharp are great if you are only doing a vee bevel edge. 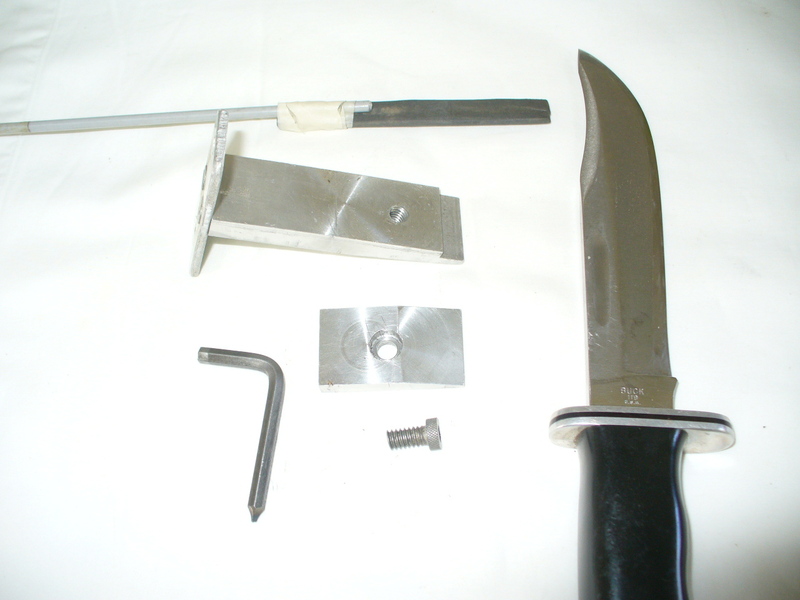 If your knife is truly convex ground, a sharpening jig will only be able to put a micro bevel on it. I had one of the earlier versions of the Scary where you had to unclamp to flip the blade and it was a pain in the arse so I sold it. Part of the reason for selling was that I also discovered the mousepad method, although adapted a little. This works excellent for convex grinds like the Bark Rivers. For a beginner, its a very simple and effective sharpening method. However, I really wanted to learn to use stones to hand sharpen, and ended up buying some Japanese water stones which I now use 95% if the time. With a good strop and some 800 grit compound, you can get away with a 400/1000 combination stone for the majority of sharpening needs. My Chosera water stones (now called Naniwa Professional Stone) range from 400 to 8000 grit. It just take practice which builds your confidence, and with confidence you will get better edges. I also have a tormek type machine which I use for the kitchen knives since they get abused by my wife and often need reprofiling to remove gapped edges as opposed to just honing the edge. Its fast and can remove a lot of material in a very short time. Way less tiresome than trying to reprofile by hand on good German steel. I also have a linisher, and saw a video the other night where a knife maker showed how he sharpened his knives for sale on the linisher. I tried it on one of my knives and OMG is it a quick way to get a shaving sharp knife with a couple of strokes on the strop. My son pulled his knife out to gut a stag and luckily did not chop his fingers off. Geoff makes a great machine. Still using the old model. Bought a brand new one 2 years ago but it still is in the box.Takes all the guess work out of the equation. Awesome Kiwi ingenuity.Yes it can get them bloody sharp. I brought a Lansky system before Christmas, for me it works fine. Knives are very sharp again and blade angles re - set. Not the best system out there but after watching a lot of you tube clips and some patience and practice the system works well. 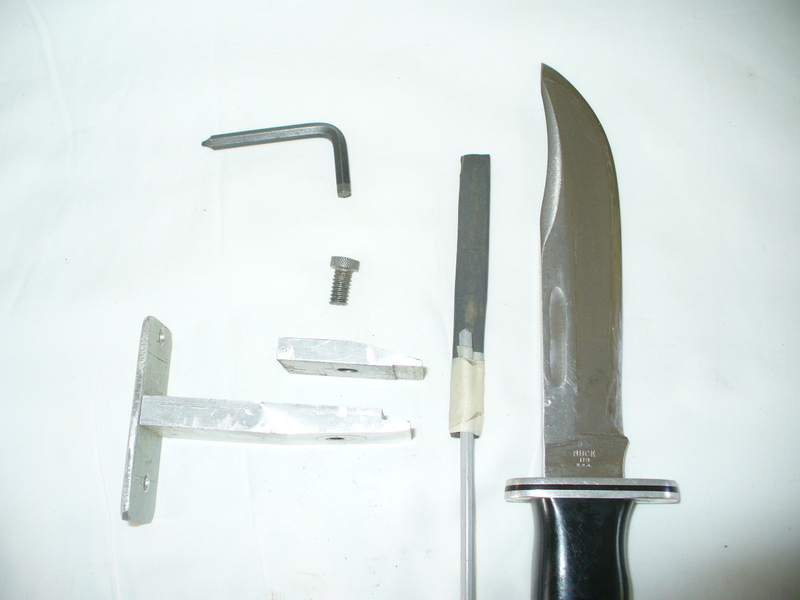 Better suited to smaller knifes, large kitchen knives are more difficult to the size of the clamp and stones. @viper I too use the lansky. Like you say it's great for smaller blades. Not great for large blades and hopeless on flexible blades like fillet or boning knives. Scary Sharp looks pretty good. Well being a clever bugger I just made a gismo on my lathe to sharpen my buck knife, did the job nicely and when in the bush I use the knife to shave with, really impressed the Swedish girl backpackers.